Daily is a red tuna meat meal, with a high source of energy. Thin shredded cuts preserved in their own cooking broth. 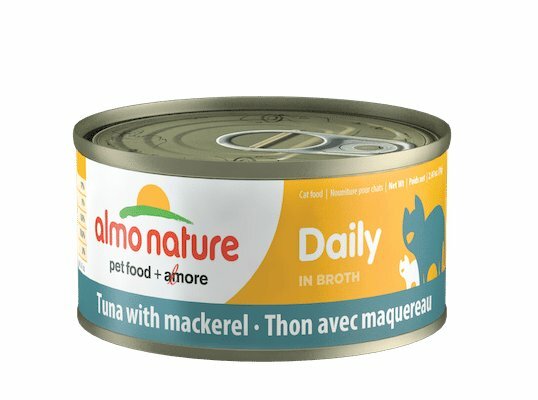 Daily has a very high protein content, it is very rich in Omega-3 and Omega-6, essential fatty acids and Taurine. Tuna 70%, Water sufficient for cooking 25%, Mackerel 5%. Crude protein (min) 17%, Crude fat (min) 1%, Crude fibres (max) 0.5%, Moisture (max) 78.5%, ash (max) 3%.